Finding the right people to take part in research is a complex process that requires a thorough approach in order to be successful – we have learnt this much after 25 years working in the user research and UX industry. It also requires a company and its team to be flexible and able to diversify its approach and constantly develop new ways to find participants. A single-tool approach can be more damaging than beneficial when trying to find your users – which is why you (or your participant recruitment partner) should never exclusively rely on one source of participants for your sessions. For example, when designing research, you wouldn’t use only one methodology, right? At People for Research, we use social media regularly to recruit people that are interested in sharing their feedback about products and services, but we also grow and develop our own online community using sources other than social media and continuously find new groups of people to share their opinion with our clients. From our experience, it’s virtually impossible to rely on one single source of participants, but some companies do it – keep reading to find out more about the pitfalls of this approach. Usually, when a company, design agency or user recruitment expert use social media to find participants for their sessions, they tend to follow the route of paid advertisement. This means that the person or team posting the ad or series of ads on Facebook, for example, will look at their recruitment criteria and try to show a paid post or image carousel, for example, to the people who match said criteria, in the hope that they will be interested and eager to take part in research or testing. So, what are the dangers of this approach? Maybe you have a good following on Facebook, with several thousands of people liking your page. However, posting a paid ad and showing it to a targeted audience is a completely different ballgame. The majority of the people who will see your paid post are unlikely to know anything about your company, as you haven’t built a relationship with them. Although most people will find the offer of a cash incentive appealing, it may not be enough to make them stay with you throughout a strict screening process and this can potentially lead to people dropping out on the day of the session. Social media has taught us at least two important lessons: people live online lives that are sometimes different from their real lives and social media affects the way we live (and even our decisions). People curate, sometimes unconsciously, their social media feeds to make their lives look more exciting. A study conducted by Hancock, Toma, & Ellison analysed 80 online daters and found that 2/3 of participants lied about their weight by five pounds or more. In 2016, a larger study including over 2,000 people in England found out that over three quarters of participants lie on social media: only 18% of men and 19% of women that took part in this survey reported that their Facebook page displayed “a completely accurate reflection” of who they are. Sure, you can target pretty much any demographic information on Facebook and show ads to the people you believe are suitable to take part in your research. 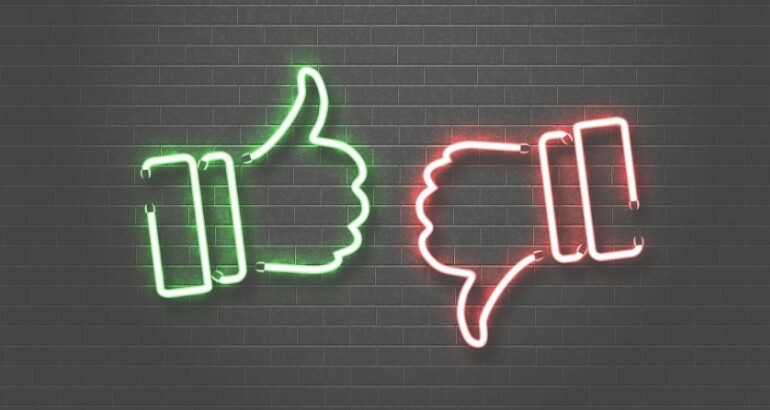 However, as the previous point explained, people don’t always tell the truth on social media, so you need to at least allow for a margin of error when setting up paid ads and make sure these people go through a very thorough screening process before they become participants in your research. Some targeting categories have been optimised for specific countries and their context. Targeting demographics might be easy, but accurately targeting most behaviours is inaccurate or not possible. If you are planning to rely exclusively on social media to recruit your participants – this is particularly relevant/true if you are planning to use only one social media channel –, you are likely to end up with a similar group of people with similar tech-savviness levels. Users younger than 25 years old are not particularly interested in or active on Facebook in 2018 and people with low tech confidence are not likely to be using it. The same goes for people with impairments who may feel that Facebook is not assistive technology-friendly. This is just an example of a few groups of people you will be missing out if you focus on one social media channel or on social media exclusively. If you are interested in finding out more about our comprehensive approach to user recruitment, drop us an email on info@peopleforresearch.co.uk or browse our blog. About the author: Maria Santos is the Digital Marketing Manager at People for Research. You can find her on the People for Research’s Facebook or Twitter accounts, regularly engaging with potential participants, market research experts and the UX community.